Life As We Know It starring Katherine Heigl and Josh Duhamel will be available February 8th. To celebrate the release I’m able to give away a DVD and Soundtrack to the movie! Now for the phone conference with Katherine Heigl, I thought I’d share some of the answers to her questions. (Did I mention I’m still shocked I got to do this call. *grin*) Her answers aren’t verbatim because I tried writing everything down and had to drop little words but the meat of how she responded is her completely. Katherine: I tend to be too honest. I don’t censor myself well. What you get is me. I need to learn to be more private. Does being a parent change how you view the roles you'll take or the roles you've played in the past? Katherine: I want to play roles of women I can admire. I want my daughter to be able to watch my movies. Katherine: I have a girl that nanny’s but only until a certain time. So, we have date night at home after our daughter goes to bed. We don’t go out as much as we used to. I love going out to dinner. Katherine: Watch Apple TV. I just finished a marathon of Sons of Anarchy. I also watch Gossip Girl, Life Unexpected and Cougar Town. I like to involve myself in other shows. Now’s your chance to own the DVD and Soundtrack! Required: Tell me which Girls or Moms Night In Tips from the widget above you like the most. Giveaway open to US residents only 18 yrs or older. Please leave your email in the required entry or have it available in your profile. No email/contact = No entry. Giveaway ends 2/17/11 at 11:59 PST. Winner has 48 hours to respond. I’d like to thank DBA West for the DVD I’ll be receiving as well as the giveaway products. The opinions expressed are my own and never influenced by the company. Although I think Joke or Dare could be fun, I like the Gift Grab idea better for me. But I think an old fashioned pajama party would be so much fun! Was that on the list? everyone keeps saying they can't see the list. You have to click on the GNO list tab and it brings up another page. I think Let Them Eat Cake would be fun! Thanks! From the widget I like the MOM's night in manicure match tip. I follow Life As We Know It on Facebook (Cheryl HeartnSoulmom), and I updated my status. I am entering to win on Marvelous Mom Reviews also. Thanks for the opportunity to enter. I like the Manicure Match idea! I am a GFC follower. THanks for the chance. I love the Let Them Eat Cake idea as well as the Gift Grab one! I would incorporate both at the same party! I like the Mocktail Night. I like the mocktail tip best! I like Life As We Know It on Facebook, my FB name is Amanda Moore, and I left a status update! I like the cozy cocktails. I think the crazy cocktails would be fun. i like the crazy mocktails idea! i definitely need a girls night in! I need to learn to be more private. I'm a subscriber-I thought you wanted a comment from the interview-I didn't know what a widget was! I like the manicure match "game"
Crazy mocktails. It is fun when everybody has different recipes for drinks and some of them are really good. Thanks. I love the idea manicure match from girls night in. i think i automatically match my nail polish color to my mood! I like Mocktail night. Thanks for the giveaway. I think Gift Grab sounds like fun. My favorite is the Manicure Match Tip. I am following WB via Twitter as jlsc123. 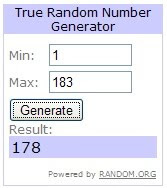 I entered the giveaway at Marvelous Mom Reviews. The manicure match for girls night in sounds fun! I like the "Let Them Eat cake" one best! Thanks for the great giveaway and can I just say how awesome it is that you got to talk to Katherine Heigl! I absolutely love her! Christina - xristya@rock.com - I like the Crazy Mocktails tip! My favorite is the Crazy Mocktails! +1 I am a fan of Life As We Know It on FB and left a comment. +2 I am a fan of Life As We Know It on FB and left a comment. I like the crazy mocktails! I like the idea to decorate cake as dessert. I like the manicure match! I entered at Marvelous Mom Reviews! Let them eat cake sounds like fun! I also entered the contest at Marvelous Mom Reviews.